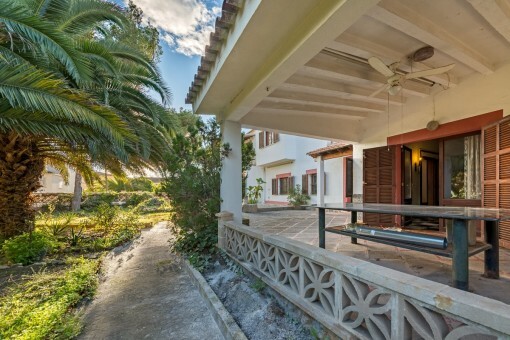 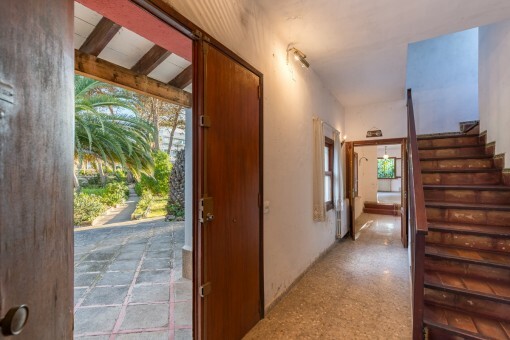 This chalet is located in the desirable residential area of Sometimes on the Playa de Palma and consists of 2 separate properties, one with 705 sqm and the other with 400 sqm. 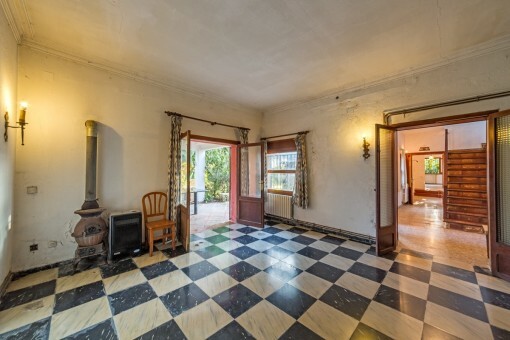 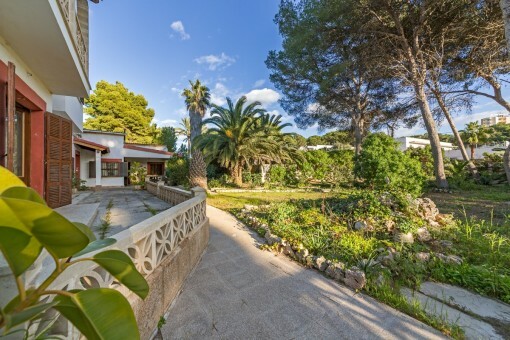 It is situated very centrally, approximately at the level of Balneario 10. 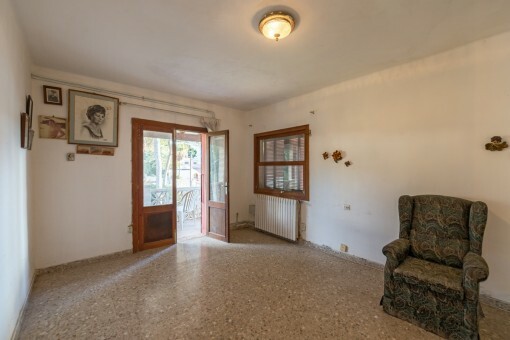 The existing house is built on the larger plot and has a living space of 305 sqm spread over 2 floors and distributed over 5 bedrooms, 2 bathrooms and 2 very large living areas each with an open fireplace and a fitted kitchen. 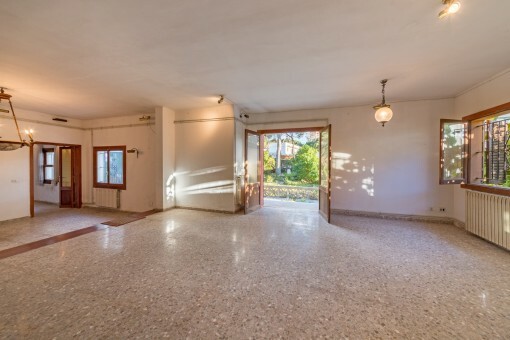 In addition, the building has a permanent parking space, various terraces and storage areas, and a machine room for the gas central heating boiler which is responsible for the heating and hot water supply. 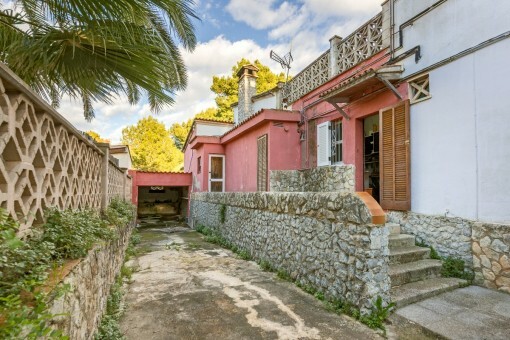 On the other, 400 sqm plot, it is possible to construct a second building with an area of 200 sqm and 2 floors with a maximum height of a 8.5 metres. 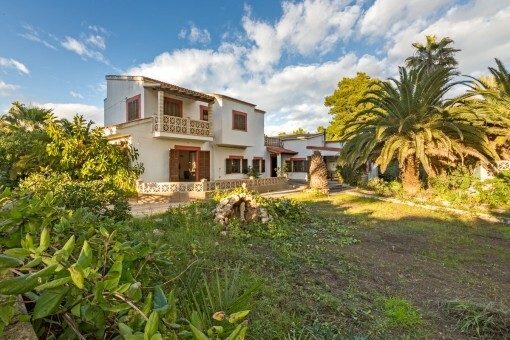 The entire property is currently planted with beautiful Mediterranean palms and flowers. 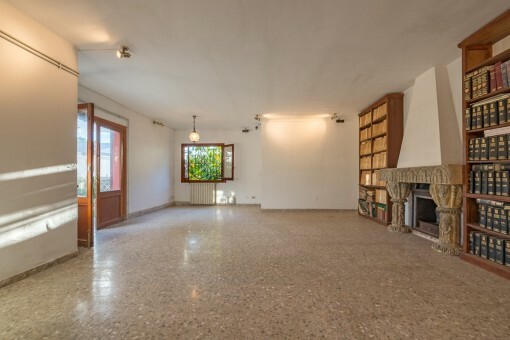 The existing house requires complete renovation. 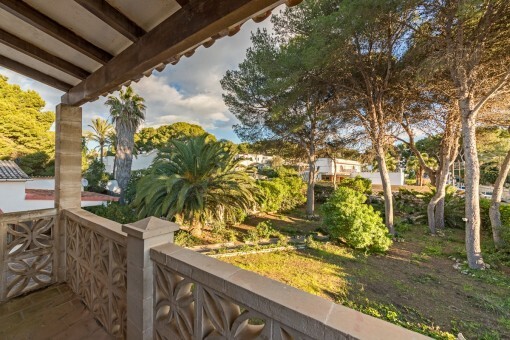 The 1,105 sqm total area of ​​the 2 properties offer the buyer many possibilities and make the estimated purchase price very attractive and, particularly for this exclusive location on the Playa de Palma, extremely interesting. 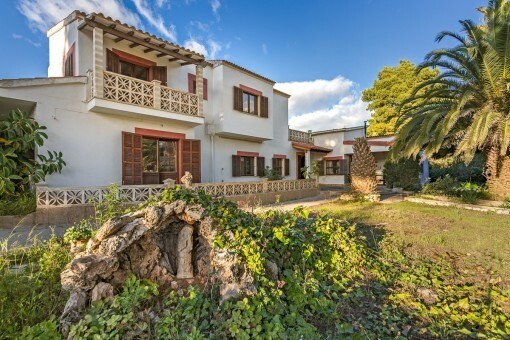 Ik ben geïnteresseerd in: Chalet with 2 separate plots in Sometimes in Playa de Palma (Objekt-Nr.109557). 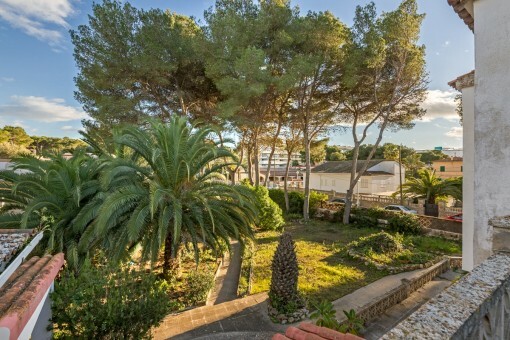 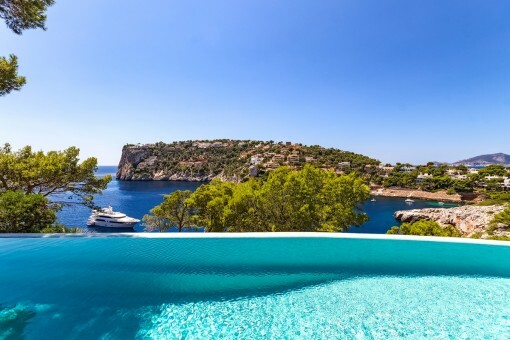 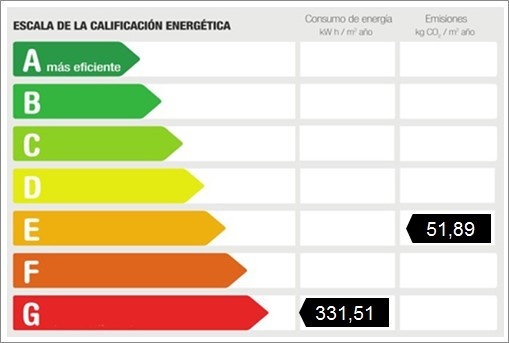 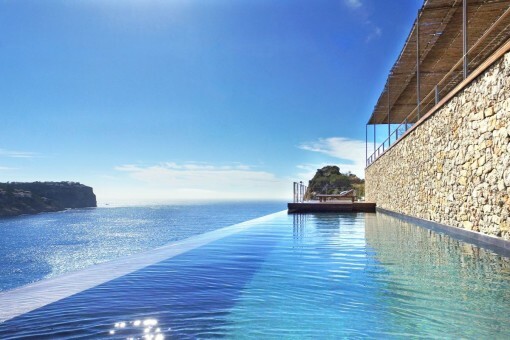 U leest nu: Chalet with 2 separate plots in Sometimes in Playa de Palma-purchase · Porta Mallorquina Real Estate Beoordeling 4,8/5 uit 95 reviews.